Our bodies are burdened with toxic waste from an accumulation of environmental assaults on the body and less than optimal diet. As toxins accumulate, our body struggles to stay healthy and assimilate the required nutrients to support even the basic bodily functions. 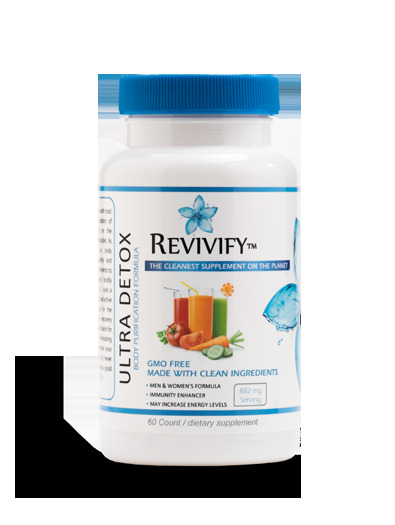 ULTRA DETOX uses a propriety blend of herbs and active ingredients to help aid in the body’s cleansing and recovery functions by binding with toxins for rapid removal, while eliminating harmful bacteria to restore your body to optimal health. It’s never to soon to give your body a good cleaning with ULTRA DETOX. Selenium: Selenium plays a key role in the body’s detoxification system also acts in synergy with the antioxidant vitamins( vitamin C and E) by regenerating them from their oxidized forms and promoting maximal antioxidant protection. D-glucarate: the substance enhances the body’s natural enzymatic process of detoxification. It increases detoxification of harmful chemicals and helps to prevent diseases. Tumeric(Curcumin): is also a powerful antioxidant. Antioxidants scavenge molecules in the body known as free radicals, which damage cell membranes, tamper with DNA, and even cause cell death. Antioxidants can fight free radicals and may reduce or even help prevent some of the damage they cause.